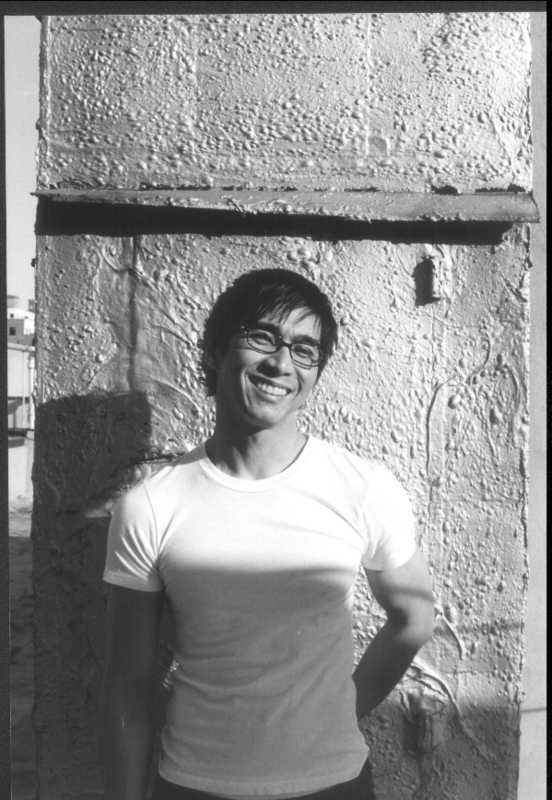 P&W–supported poet Joseph O. Legaspi blogs about his path as a poet. He cofounded Kundiman, a nonprofit organization that serves Asian American poetry. The author of Imago (CavanKerry Press) and the forthcoming chapbook Subways (Thrush Press), he works at Columbia University. Why poetry? I’m asked frequently, which brings me to ask myself the same question. I imagine the typical inquisitor thinks poetry as gilded, arcane, highfalutin'. As it is, it has taken me years to be comfortable saying that I’m a poet. To this day there’s still a tiny level of discomfort, uttering the—what? title, character, state of being? What does it mean to be a poet? Poetry is not a career nor is it employment that pay the bills. It's not a marker of identity like gender or nationality. What is it that you do? Americans love to ask. I write poems. But not all the time. Not the same amount of hours as my day job, and my other jobs. True, I can justify my being a poet. I hold an advanced degree from a reputable creative writing program in a literary city. My poems continue to be published in journals. I even managed to publish a small book, which has brought me immense joy. I’ve taught. I cofounded Kundiman, a nonprofit to cultivate and foster poetry, my proudest achievement. And I am still utterly surprised when I get paid for a reading, as I have been paid five times by Poets & Writers' Readings/Workshops Program in the past five years. This makes me a poet, yes? Then, am I poet enough? I know I’m not leading the ideal poet life (I suspect only a handful of us do. ): all-consuming devotion to the craft, incessant hunger, obsessive writing. Full disclosure: I shortchange poetry. I heed her call, but she doesn’t come knocking every day. Instead, I’m out on Broadway or at a bar or at a restaurant with friends. On weekend mornings my feline tendency is to curl up with my husband with NPR on the background and brunch on the horizon. I compartmentalize my life as most of us do, juggling daily responsibilities. Hats off to poet friends with children, who are most generous and hardworking and yes, still manage to crank out poems. (How do y’all do it?). In my younger days, I struggled while grasping at the idealized, singular version of the poet. I was frustrated for not “making it work.” I felt I was “falling behind” or falling by the wayside. In time, however, a realization seeped in—I was not the ingénue anymore—and that made me agonize some more. Then, I was fine. Truly. I learned that there is no singular way. I vowed to be more forgiving and patient with myself. A part-time poet is not a bad thing. I personally do not need poetry to survive, but I am better for its presence in my life. Yes, I still possess the romantic notions; I hold poets in high regard. I feel poets lead examined lives, able to dig deeper. Ultimately, what I love is poetry’s liminality. I love how it envelops a space like that between earth and the moon. Poetry is both marginalized and transcendent. Borne of sounds, rhythms, spark, and the bang of language in creation, it is root of all literature. I continue to tinker with poems, stringing words like light in search of meaning, to get at a truth. Photo: Joseph O. Legaspi. Credit: Emmy Cateral. Support for Readings/Workshops in New York City is provided, in part, by public funds from the New York State Council on the Arts and the New York City Department of Cultural Affairs, with additional support from the Louis & Anne Abrons Foundation, the Axe-Houghton Foundation, The Cowles Charitable Trust, the Abbey K. Starr Charitable Trust, and the Friends of Poets & Writers. Why does PW publish this kind of self-aggrandizing twaddle? Even if cyberspace is infinite, this sort of self-glorifying mush shouldn't be taking up space. Dr. Snake has commented most concisely and clearly. I couldn't agree more: "Why does PW publish this kind of self-aggrandizing twaddle? Even if cyberspace is infinite, this sort of self-glorifying mush shouldn't be taking up space." Only problem I see, and I am for gay rights, is the utter nonsense of a man calling his partner a husband, (is he a "wife"? ); people just don't use their heads anymore, or have common sense. Yes, to be a poet is one thing. It amuses me that while I am, I can't stand the literati, and they can't stand me. And for the kajillons of people who DO get published, who is going to be remembered (hardly five years from now, nor even have an inkling of their "name")? Like nowadays, who even remembers Carl Sandburg? Poetry is true heartbreak hotel. And that is sad. And most of the stuff I read... doesn't make any sense anyway. More sad. Would it have been possible for Poets & Writers to run a piece that marginalized the "idea" of a poet any further? Mr. Legaspi's individual talents aside, nive job reinforcing the stereotype. Introspective gay guy in search of "the truth." Throw a great Cosmopolitan in there and you're all set. That should really move things forward for everyone. I remember Carl Sandburg. He was a huge influence on my early poetry. But your response to the column isn't much better than the column itself. It's nearly as filled with self-grandiosity as his. Though he at least isn't self-pitying in the bargain. Hi - I thought the article interesting, and it posits something I've wrestled with myself. Even though I just published my 6th chapbook (Red Ochre Press) and have had over 400 poems published since I started writing in 2004, it's only in the last few months that I've been able to consider myself a "poet" with a small "p". I too consider the calling and title noble, and felt (and still do, a bit) a bit presumptuous calling myself by the noble name of poet. Like the gentleman in the article, I juggle teaching (Test Prep in San Francisco), my passion for watercolors and urban sketching, my dog, friends, MeetUps, etc. I decided a long time ago I would write one poem a week, and be content with that. Doesn't sound like much, but it does add up! However, after having a chapbook published by Finishing Line Press last year, I did feel I had moved slightly up the artistic ladder (even my rejections are nicer!) and feel I can whisper to myself that yes, just maybe, I am a poet. Only a poet could muse so! a blessing for us, senor! Thank you, Joseph, for sharing this beautiful piece. As a writer who has only two published poems to his credit, I have often wondered at what point one can begin to call oneself a poet. I guess I'll just have to wait and see as I keep writing more poems. This is worth thinking about. I expect a lot of us wrestle with similar doubts, especially those of us who don't have even the career markers the author cites. It is a little bit ironic to see this on the site of Poets & Writers, whose image of the poet seems, to me at least, so narrow and credentialed. Not that the editors are pushing that, and certainly not that P&W isn't a valuable resource. But leaf through any issue of the print magazine and it's clear enough. The poet is under 35 (always), good-looking, usually white (maybe Asian), with an MFA (always), two or three books published, a teaching job. In one way or another I suppose it's always been so. Before the twenty-first-century P&W poet, with his MFA, shaved head, and black-framed hipster glasses, there was the black-turtlenecked beatnik, there was Chesteron's Lucian Gregory, and I wouldn't doubt there was some stereotyped poet people laughed at in Aristophanes. None of it has anything to do with being a poet. As olive4 says, "Write more. Expound less." And as Jackson Browne says, don't let the sound of your own wheels drive you crazy. Why not poetry? Is it not as valid as fiction, or the essay, or memoir? A writer writes. A painter paints. A composer writes music. If we challenge the act or endeavor of any artist does that not trivialize the meaning of art in general? Who challenges a dentist or a salesman or shop owner? How did those endeavors become so meaningful and hallowed? It's all in one's perspective and has to do with purpose and meaning. I, too, am asked, why do you write poetry? What do you get from it? Immense pleasure, great challenges, it's an act of love and as with any lover, it can be a rocky road at times. But I never feel guilty or less than for embracing poetry. One must have the courage of one's convictions. If not, one will forever be tormented and filled with doubt, vacillating between being good enough and rotten to the core, which I fear Mr. Legaspi teeters between at times. Guilt has no place in a writer's life. I say get over it and own up to the fact you're a poet. Even poets have lives outside their poetry. We're all human after all. A deeply appreciated post. And who sits in judgment?